The fundraiser started on Saturday morning with a goal of $1,500, but at one point on Monday the campaign was earning $4,000 every minute. A Facebook fundraiser started by a California couple has raised more than $5 million dollars over just four days for immigrant families separated at the U.S. border. After seeing a viral photo of a crying two-year-old immigrant girl witnessing her mother’s arrest, Charlotte and Dave Willner took to Facebook to start a fundraising campaign called “Reunite an immigrant parent with their child.” The goal as of Saturday morning was $1,500, but at one point on Monday the campaign was earning $4,000 every minute. About 133,000 people had donated $5.4 million as of Tuesday afternoon. The money goes to the Refugee and Immigrant Center for Education and Legal Services (RAICES), a nonprofit in Texas that provides free and low-cost legal services to immigrants and refugees. 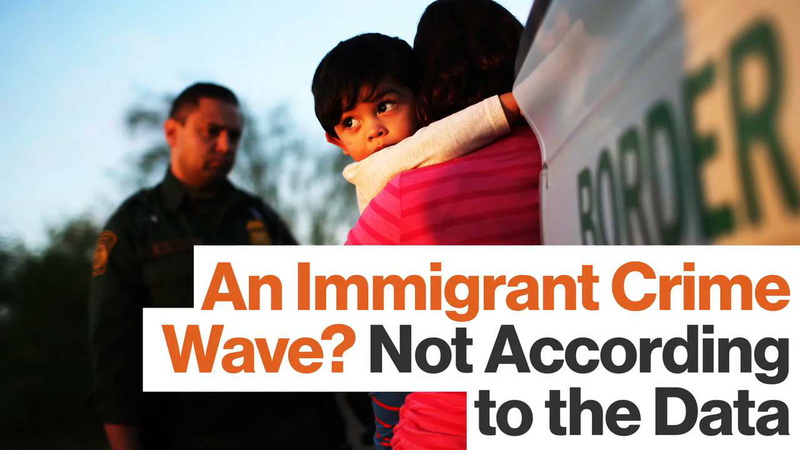 In the past, immigrants caught crossing the border illegally were placed with their children in immigration detention, but the new policy calls for border-crossing adults to be placed in federal prison, effectively resulting in an inevitable separation from their children. U.S. Attorney General Jeff Sessions defended the policy last week with a bible verse. Sessions and other anti-immigration proponents have framed the policy as a clear-cut “don’t do the crime if you can’t do the time” scenario that places culpability squarely in border-crossing parents’ hands. That increase is accurate on year-over-year basis, but what she didn’t mention was, according to the Department of Homeland Security’s own data, alleged child smuggling accounted for only 0.6 percent, or 46 cases, of total border apprehensions so far this year. President Donald Trump has said the policy comes from laws signed by Democrats in congress, but the directive came from his administration and could be reversed “with a phone call” from the president, as Senator Lindsey Graham, Republican of South Carolina, told CNN. Many Americans oppose the policy, including some leading Republicans and more than 600 members of Sessions’ church, arguing that it inflicts psychological trauma on children. In early June, Senator Dianne Feinstein, the ranking member of the Senate Judiciary Committee, introduced the Keep Families Together Act—a bill that would ban family separation except in cases where officials believe child abuse or trafficking is taking place. It’s currently the only bill that would stop the practice, and it has the support of all Senate Democrats but zero Senate Republicans, some of whom have said they’re looking into drafting their own legislation to tackle the issue.